AAV Barbini Srl is the oldest operating Muranese company specialized in the production of Venetian mirrors. The company’s origins can be traced back to an era that far precedes the date of its foundation. In 1927, after Nicolò Barbini frequented the ‘Abate Zanetti’ School of Design, in Murano, he was moved by his own artistic temperament and inspired by his long-standing family traditions to found his first company specialized in artistic engraved glass. His brother Guglielmo, also an engraver and a co-founder of S.A.L.I.R., would work for the new company, which would immediately gain acclaim for the elegance and refinement of its mirrors. In 1929, a mere two years after its founding, the company would earn itself the first prize Gold Medal at Florence’s craftsmanship fair ‘Esposizione Mostra Campionaria’. Together with his brother, Nicolò would furnish myriad hotels, palaces and exhibition halls with venetian mirrors, tables and glass consoles, including the interior of a casino in the Ivory Coast. In those years, the Barbini company produced some great glass items like vases, chalices, glasses, pitchers, cake-stands and plates manufactured with the engraving method using a sandstone grinding wheel, the cold painting technique or the sandblasting technique. In 1940, together with his brother-in-law ‘Memi’ (Guglielmo), Nicolò co-founded the company “Barbini e Longega specchi veneziani artistici incisi”, the present-day “Domus vetri artistici”, which would earn itself far-reaching acclamation, especially thanks to Nicolò’s skillful craftsmanship and artistic imagination. Ultra-refined engraving techniques, the quality of cutting and combining glass in various shapes and colors prove flagship qualities that distinguish all of the production created at Artigianato Artistico Veneziano, company founded in 1960. Today, the company that Nicolò founded boasts work from three generations of expert artisans who work on the cutting-edge of this exclusive technique—acquired through passion for the art of the mirror and enhanced by profound historical knowledge and professional know-how. All phases of production (planning, cutting, engraving, lead glazing and a special antiquing process) are exclusively carried out on site in Murano and personally led by brothers Vincenzo and Giovanni and their sons, Nicola and Andrea, authentic masters of their craft who are capable of continuously re-interpreting their inestimable heritage and secret techniques. The Laboratorio Artistico of Nicolò Barbini, produces all along, venetian engraved glass mirrors, but also ceiling lights, wall lights and wrought-iron lights, decorated with glass flowers and leaves. The combination of “glass and iron” had a great successful in the artistic field. Nicolò shared his artistic sensibility and wide-ranging professional experience with his two sons Vincenzo and Giovanni, who became the company’s owners in 1985. 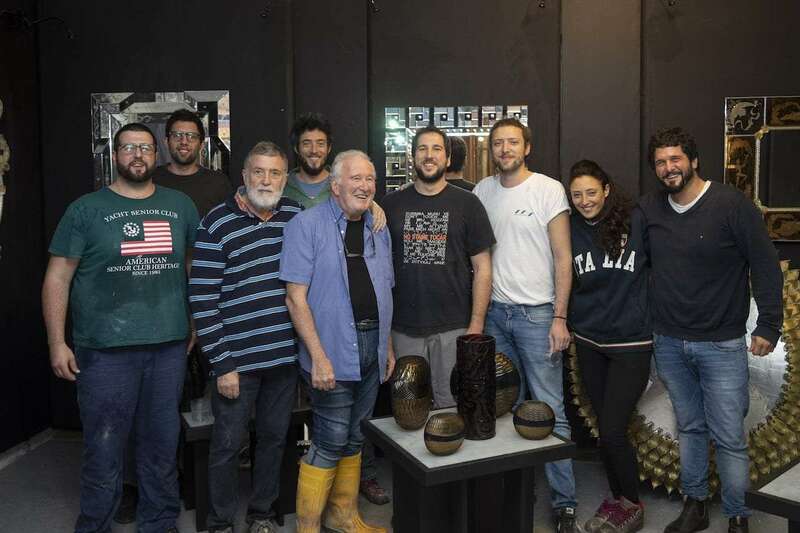 The company has expanded to include nine people and it continues to develop the family’s talents and traditions. The aims of our company are the improvement and development of the family activity and the specialization in the art of the venetian glass mirrors. Furthermore, our company is going to expose its modern and old-looking venetian mirrors at the Campionaria fare in Florence, at the Macef and finally, at the Salone del mobile in Milan. Artigianato Artistico Veneziano, throughout the course of its existence, has carried out important commissions in Italy and abroad, furnishing hotels, palaces and residences, with the collaboration of important artists and designers. It has also worked in the field of ancient mirrors restoration. Its numerous recent projects include mirrors and furnishings for the luxurious Hotel Palazzina Grassi, the historic Hotel Gritti Palace and the legendary Hotel Cipriani. 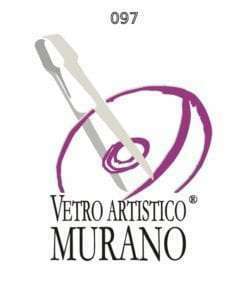 For several years artists has engaged in a collaborative project with Artigianato Artistico Veneziano to create their works. Today, the Barbini mirrors are presented all over the world and adorn the walls of the great hotels and Palaces.